This Heavy Challenge kicks off an HTL (Heavy, Tough, Light) weekend. Sign up for and complete all three Challenges to earn the coveted HTL patch and enter the pantheon of the most elite endurance athletes in the world. 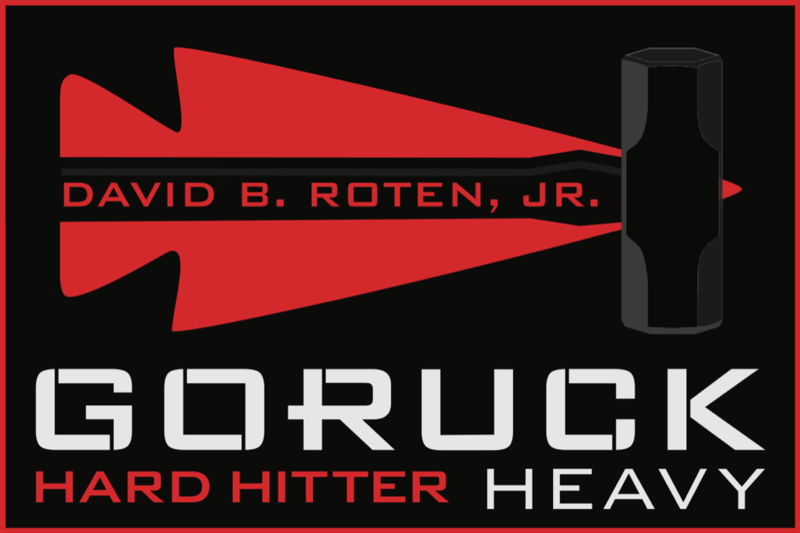 The Hard Hitter events honor the life of Staff Sergeant (SSG) David B. Roten Jr., who served in the United States Army as a decorated Special Forces Weapons Sergeant. After his honorable discharge in 2010, David supported the U.S. Government in austere environments. He was killed in action on November 27, 2014 in hostile territory supporting the U.S. Government. He lived and served with unwavering commitment, passion, and courage, always pushing himself beyond his limits to be the very best. The event is named after the “Hard Hitter” Award, introduced in 2006 by the leadership of Operational Detachment Alpha (ODA) 043 during Operation IRAQI FREEDOM in Baghdad, Iraq. SSG Roten was recognized and honored as ODA 043’s first annual “Hard Hitter” Awardee and was presented with the coveted and hard-earned sledgehammer, which is reflected in the Hard Hitter GORUCK patch. The “Dave Roten Hard Hitter” award will hang in Bravo Company, 3rd Battalion, 10th Special Forces Group (Airborne) forever. You are requested to bring a photo of someone who made the ultimate sacrifice and wear their name and date of death on your weight. Dry Bag (or equivalent, such as a contractor bag) with a change of clothes. If you’re really cold, you’ll be really glad you have this. Be sure to bring one (1) pair of extra socks. You’ll carry this Dry Bag in your ruck. Boots (worn) are recommended over sneakers, based on the support you need over all the miles and all the weight. Under no circumstances should you wear Gore-Tex or other “waterproof” boots or socks. Food aka lickies and chewies. Just don’t bring the whole Thanksgiving feast, it’s only 24+ hours. As a class, you need one (1) 50 lb. class weight and one American Flag. No wheels will be attached to the team weight and it must be in compliance with Special Forces Rule #1: Always Look Cool. Use your event’s Facebook page to meet your class, organize training, and coordinate team weight details. Flip-flops (not required) - upon completion of a GORUCK Heavy, it’s one of the seven great feelings in the world to take your shoes and socks off and put flip flops on. It also makes the hell-yeah-I-earned-my-patch beer taste even better. Check out our RUCK CLUB map to find people to train with. 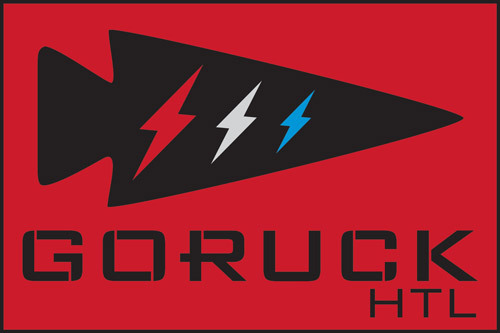 GORUCK Events are not about you, and coordination with your team is key to success and having a good time.